Our relationships with referring physicians are important to our practice. 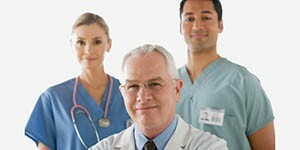 We are privileged to work with many referring physicians each year. Our goal is to provide patients with the best urologic care possible, followed by complete, timely documentation and reporting to you. We want your patients to have the best experience possible. At Perlow Urology Practice, PC, we provide your patients with expert urologic care. Your patients experience the skills and knowledge of Steven L. Perlow, MD, a board certified urologist, as well as the most advanced technology, equipment, and research available in the urology field. Our practice is committed to the prevention, diagnosis, treatment and research of urologic conditions.